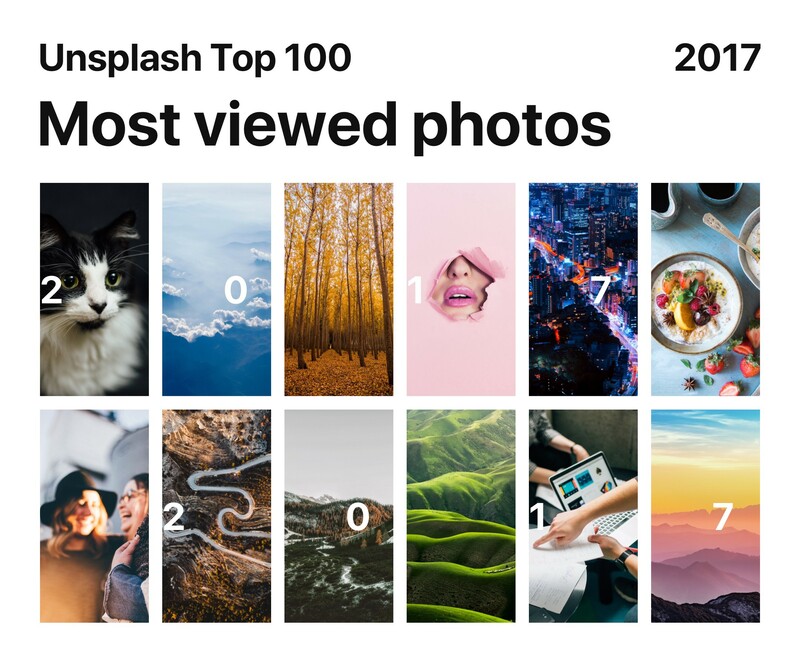 This past year, 313,141 photos were generously shared by 65,272 photographers on Unsplash. These photos were seen more than 29 billion times, inspiring hundreds of millions of creations. 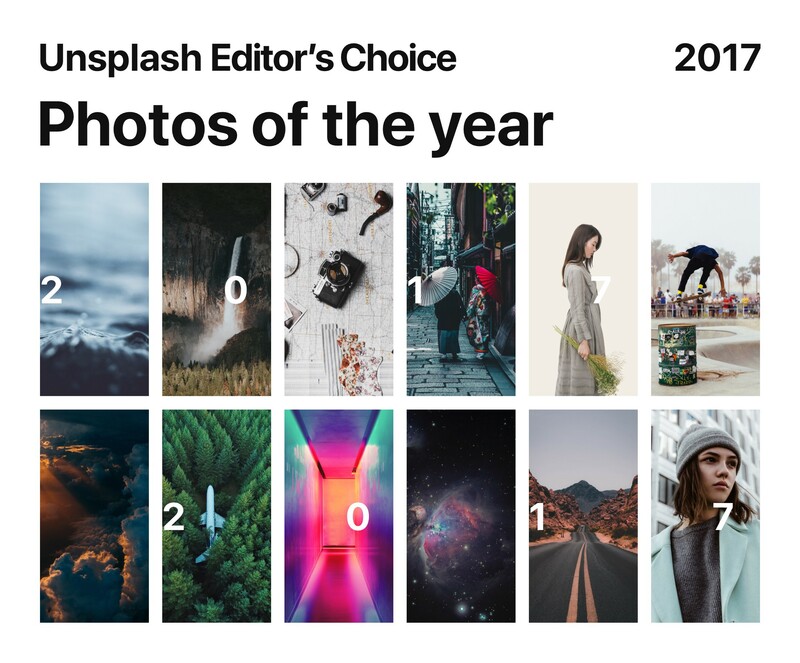 Today, we recognize the exceptional contributions made by Unsplash community members who helped make this possible with our Best of 2017 collection. 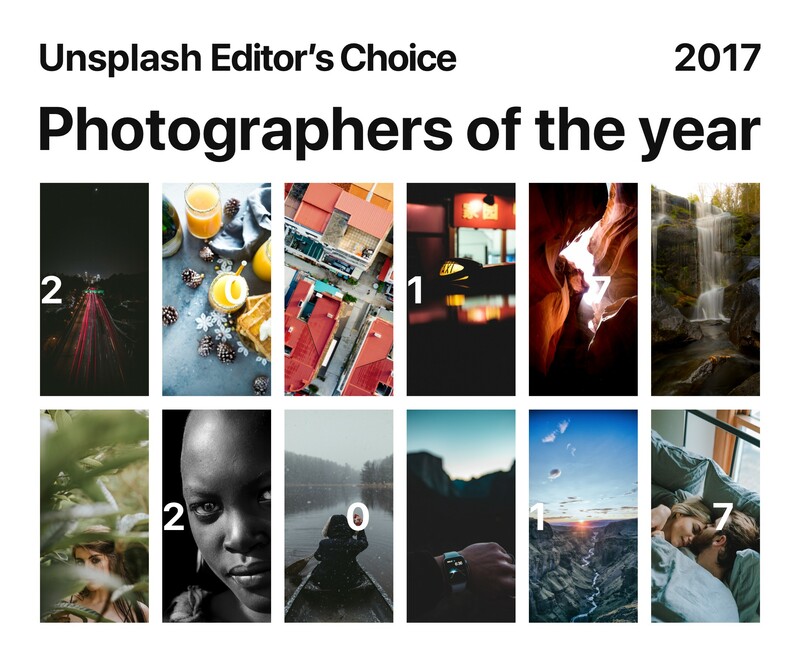 Editor’s Choice: Photographers of the Year. 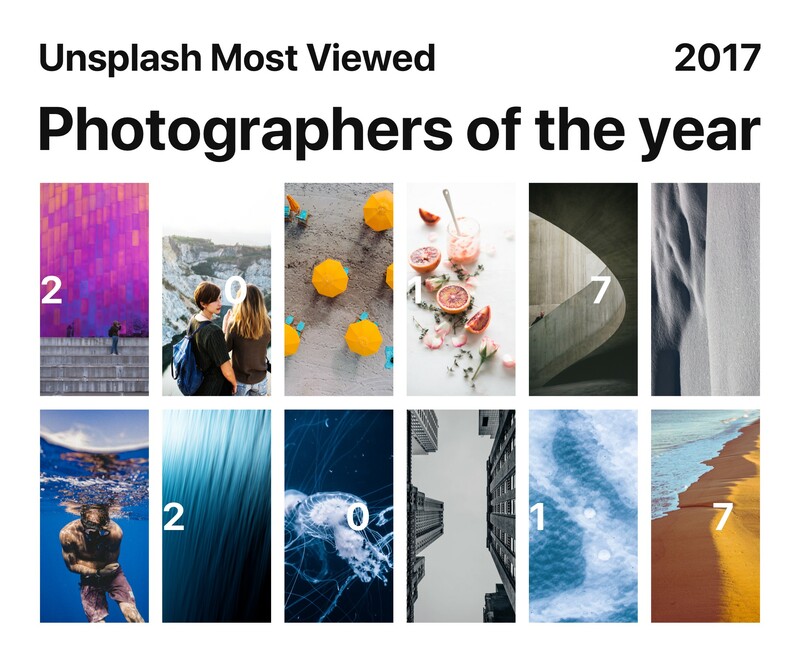 100 photographers selected for their ability to consistently shoot impactful photography. 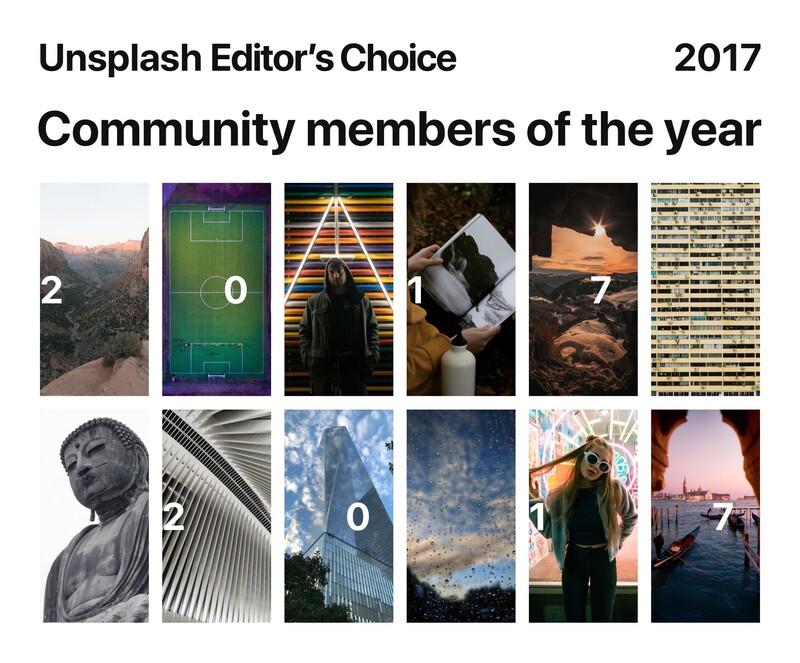 Editor’s Choice: Community Members of the Year: 100 community members selected for their exceptional contributions to improving the Unsplash community. 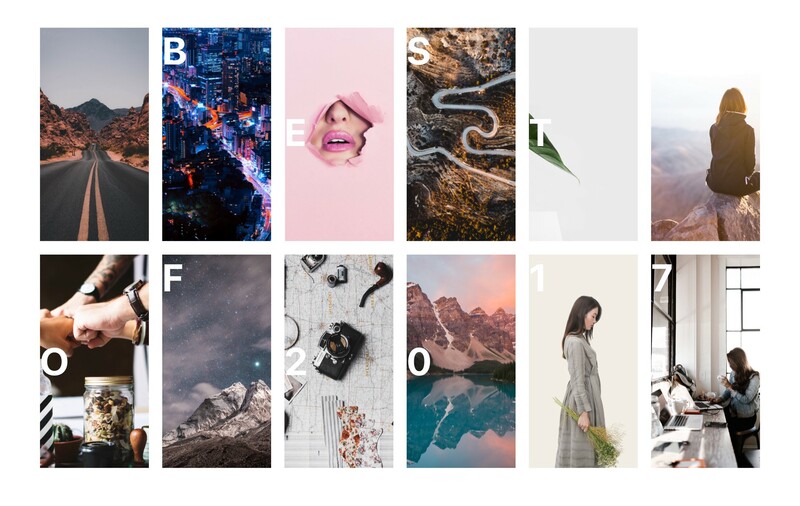 Criteria includes the creation of useful photo collections, championing the open photography movement, and/or supporting the community in a positive way. 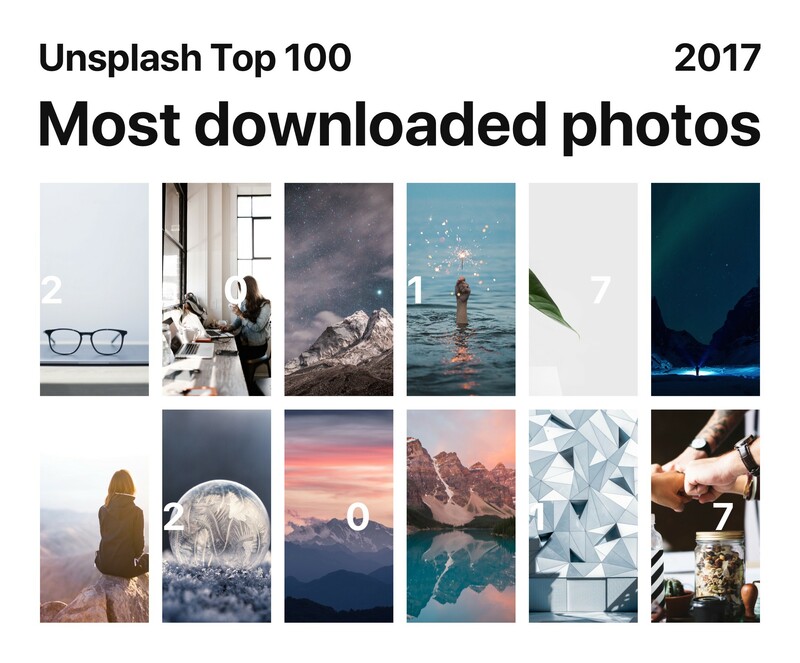 Thanks to every member of the Unsplash community. It’s an honor to be building for you.